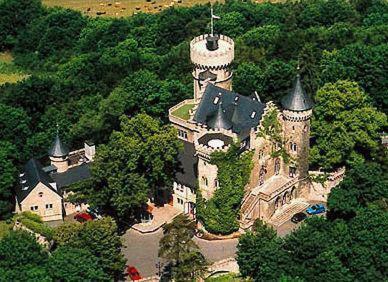 Situated on a beautiful forested hill, on whose summit a medieval defensive castle once stood, the Hotel Schloss Landsberg now resides. Our hotel has been built in 1802. It is situated midst Meiningen and a lot of details remind you of the long and exciting history. This 3-star hotel in the Thuringian town of Meiningen boasts a peaceful yet central park location and delicious regional cuisine. The Hotel im Kaiserpark provides modern, brightly furnished rooms with en suite facilities. Located in the heart of the attractive town of Meiningen, the Hotel An der Kapelle is situated directly in the newly designed low traffic area. Thanks to its central location, all tourist attractions are within walking distance. This charming hotel enjoys an ideal location on the outskirts of the Old Town of Meiningen, right on the banks of the River Werra, in the pretty Villenviertel (villa quarter).